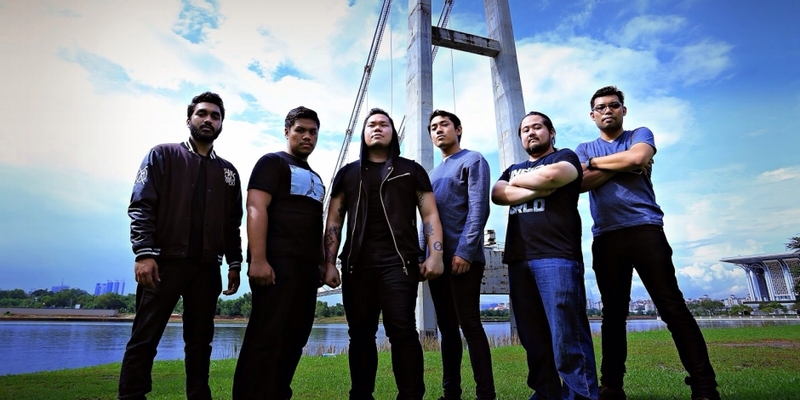 Born in an era of cookie-cutter riffery and increasingly rigid ideas of what constitutes 'metal', ArC aims to be a breath of fresh air in Malaysia's burgeoning metal scene with its blend of technical proficiency, savage riffery, and soaring melodies. Playing a signature blend of metalcore and djent, ArC lists Periphery, Monuments, Glasscloud, Suicide Silence, Killswitch Engage, and many more as influences, coalescing in the release of their very first single, 'Osorezan'. Formed by Scott Ng, Matt Liew, Mahesh Dass, Matt Chia, Megat Sallehuddin, and Faliq Faizad, ArC is multi-ethnic and multi-religious- a reflection of their melting pot of a home country. As instrumentalists, the band aims to push even further into the complex rhythms and riffs that characterize the djent movement in future releases while keeping an eye on the cathartic release of metalcore. The band has also played their first overseas mini-tour, a two show sojourn to the neighbouring country of Indonesia, and hope to expand even further at home and abroad. The band maybe new, and just beginning to realize its potential, but there is the fire. And it rises.